I'm stealing the following from Dr. Albert Mohler. He's way smarter, far more articulate, and better informed that I on nearly every subject. That boy's smart! :-) Really though, this craze has been sweeping the nation via the Cult of Oprah. False teachings emerge anew in every generation it seems, but inventing a new heresy is quite a challenge. After all, once every doctrine vital to Christianity has been denied, all that remains is a change in packaging. 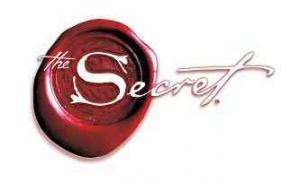 That is what we see in the case of The Secret by Rhonda Byrne, the nation's best-selling book. Millions of Americans are buying, reading, or talking about a book that repackages ancient paganism in the guise of positive thinking and mental energy. There is nothing here that is genuinely new (Byrne openly admits finding the "Law of Attraction" in a nineteenth century book). But, as the sales of The Secret now prove, a heresy does not have to be new to be attractive. Americans have long been especially attracted to ideas associated with "New Thought," a movement centered in positive thinking and mental power. The New Thought promoters have promised health, wealth, success, comfort, popularity, and much more through the exercise of positive thoughts and mental focus. Interestingly, USA Today published a report on the historical background to The Secret in the March 29, 2007 edition. As reporter Marco R. della Cava explained, the movement has deep roots and many contemporary representations. Understanding Principles for Better Living is a teaching ministry geared toward meeting the needs of the total man/woman. We are among the mighty forces at work today to change man's thought about God. Through prayer, we reckon with the vital forces of spiritual hunger, shaking the foundations of all who come. We know that filling this hunger is the greatest need in the world today. We are the religion for the New Age. Our basic message is that man, through his God-nature, can be the victor of circumstances rather than a victim of circumstances; that no matter what happens to him, man can learn to cope with and overcome any and all obstacles. At Understanding Principles for Better Living, we do not attempt to teach you what to think, but rather how to think so that you may go forth into the Infinite Mind and experience a revelation of Truth that is right for you. The group teaches that "man can learn to cope with and overcome any and all obstacles" by going forth into the "Infinite Mind." Della Reese Lett may have been the star of "Touched by an Angel," but no angel in the Bible ever instructed humans to "go forth into the Infinite Mind." Not by a long shot. We are told that First Unity Church has "decidedly Christian overtones" except for the fact that Jesus is not understood to be the Son of God. That is a big exception, to say the least. These groups borrow symbolism, selected texts, and public recognition from Christianity, but deny the core of the Church's faith. Look closely at a claim that appears on the Web site of the Understanding Principles of Better Living Church and, most interestingly, is also offered by the minister of the Unity congregation. They both claim to teach how to think, not what to think. This statement implies that the groups offer no doctrine, merely a route to transformed thinking. But the claim is false -- and must always be false. The distinction between how to think and what to think is artificial. It is sloganeering and advertising, not serious thought. Every pattern of thinking is based on certain presuppositions and leads to certain conclusions. A pattern of thinking that begins with relativism as a presupposition will inevitably (if at all consistent) lead to relativistic conclusions. In other words, when it comes to thinking, there is no how that does not include a what. You cannot begin with the presupposition that you are the center of the Universe and then reason to conclusions that are in any way consistent with the Bible. You cannot get from the presupposition that you are a sinless victim of negative thinking to the conclusion that the cross of Christ is the answer to our deepest need. You cannot reason from the presupposition that you can cope with all your problems by the exercise of positive mental imagery to the conclusion that your greatest need is for a Savior. The how is a what when it comes to thinking about anything of importance. Beware the movement that promises to teach you how to think rather than what to think. A moment's honest reflection should tell you what to think about that. There are no new heresies, only heresies dressed up and repackaged for a new generation. New Thought is back -- but The Secret really isn't new. Happy Spring! It won't be long until everything starts coming alive in our corner of the world. I love this time of the year - the birds start chirping, the fish start jumping, the grass starts greening up, and we Minnesotans start thawing out. Spring is all about LIFE. Speaking of LIFE, our theme for Easter '07 is "Life Re-imagined". Do you ever wish you could re-do your life? Are there some areas of your life that you'd like to change? Easter is an opportunity to encounter a God who is very much alive. A God who specializes in transformation. I hope you'll come to our Easter event, and bring along several guests with you. Easter '07 will be held this year in the gym at Park High School. We will hold 2 mega-services on Sunday only - one at 9 am and one at 11 am. We're doing this to open up parking and seating space for hundreds of guests. We've been working on this event for months. I've never been more excited and pumped than I am right now. I know God is going to do great things. The music, media, and message are all geared to helping people encounter our life-giving, life-changing God. PRAY. PRAY. PRAY. INVITE. INVITE. INVITE. We'll have Invite Cards available this weekend. There will also be an opportunity to send an E-Invite via our website. We still are needing dozens of volunteers for this event. We're also purchasing lilies and live palm trees for the event. If you'd like to donate a plant/tree in honor of a loved one (which is yours to take home after the event), fill in the Insert this weekend or call the Office at 459-7111 for details. 13 In my vision at night I looked, and there before me was one like a son of man, coming with the clouds of heaven. He approached the Ancient of Days and was led into his presence. 14 He was given authority, glory and sovereign power; all peoples, nations and men of every language worshipped him. His dominion is an everlasting dominion that will not pass away, and his kingdom is one that will never be destroyed. From the legends of King Arthur to J. R. R. Tolkien’s celebrated Lord of the Rings trilogy, the return of a rescuing king is a great theme in literature. It is also a central message of the Bible. All may seem lost, but the King is returning. Neither terrorism, the AIDS epidemic, political corruption, a runaway judiciary, nor poisonous media can prevent it; indeed, they invite it. In Daniel 7, the prophet receives a vision—“one like a son of man, coming with the clouds of heaven.” Because of its Messianic overtones, “Son of Man” is Jesus’ favorite self-designation, and the Daniel passage is a key Old Testament background passage for this title. Indeed, in Mark 13:26, Jesus quotes this passage when speaking of His own future return. The best of Christian thought has always challenged a temporal ruler’s claim to absolute authority. Because Christians affirm a sovereign God, no temporal ruler can ever be truly sovereign. Because Christians know there will only be ultimate and absolute justice in the future, they are skeptical of utopian fantasies. There is one king—Jesus—and the reality of His eternal kingdom and rule is a check on fantasies of governmental grandeur—whether at the local, state, national, or international levels (Rev. 1:5). To preach and teach the reality of the kingdom of Jesus is to engage in a radical and profound public act, whether one knows it or not. When first-century Christians simply sought to worship the biblical God, and Him alone, they were engaged in a daring public act. For in refusing to worship the Roman emperor, they were questioning the social structure of the day. Church leaders of today should be willing to follow suit. Of course, it can be costly, as it was to the early Christians. But whatever intimidation they may feel at the prospect of cultural conflict, it pales beside the intimidation the world should feel at the promise of the Lord’s return. This is no context for pastoral anxiety; rather, it is strong warrant for pastoral confidence, that ultimately, the State is answerable to the glorified Church. From the ESV Blog: "The folks at OpenBible.info have geocoded the Bible. In other words, they went through the Bible and found the latitude and longitude of nearly all the places mentioned. They’ve produced satellite maps and KMLs (for Google Earth) for every book in the Bible that mentions a place, and KMLs for every chapter. Even better, all the data and maps are available under a Creative Commons license." Join us as we learn about Manhood and Womanhood in the Bible, in the Church, and in the Home. Consider bringing your pastor, your congregation, or your small group to learn together and take the truth back to your local church. Session details are coming soon. Here is perhaps a little-known, but very helpful, resource on Desiring God Ministry's website. Shortly after their fall national conference, they divided each speaker's message into a series of short audio excerpts based on the topic discussed in that section of the message. These excerpts are a helpful way to listen to a lot of different audio, on lots of different topics, without having to spend a lot of time. For example, you can listen to a short, four-minute or so clip from David Wells on how "Fear in the West is Not of Being Unsafe, but of Being Unsuccesful," or a short clip from Tim Keller on how "If You Think You Understand the Gospel, You Don't." You can see the full list of all 42 such excerpts on the 2006 national conference review page. Just scroll down to the "conference audio highlights" section. 1. What is the vision for small groups at our church? This question is fundamental. Answering it requires asking two more questions. First, what is our overall vision for what small groups can and will do in our church? (And, What is our biblical basis?) Second, what kinds of people in our church can and must be reached by the small group ministry? 2. What kinds of groups will we utilize? 3. How will we "fill" these groups with people? People will go to the kind of group that best meets (and continues to meet) their needs. Consider how to recruit the people whose needs these groups will meet. 4. Who will lead these groups? Will we have a program of "apprenticing," where leaders-in-training get hands-on training? How will we discover and begin nurturing leaders? 5. How will we insure the growth of this ministry? What goals do we have for six months? How will we deal with a group once it has 12 members (or, how can we help groups to effect positive group splits)? How will we continue to recruit members and leaders for this ministry? 6. What kind of accountability will we require of leaders? What kind of ongoing training will we provide our leaders? What kinds of reporting will we require, and how often? What about periodic meetings? Who will oversee the ministry in general? 7. How can we communicate our unique ministry desires with potential leaders and members? Many churches with dynamic small group ministries will sit down with their answers to the above questions and "codify" them into a small group manual or a philosophy statement. Below is an article from Christian Post. While the focus is on church plants, I think a lot of what is revealed is transportable to established churches as well. The BOLD is my doing. A new study measured what characteristics vibrant, growing church plants share and listed 10 factors contributing to high attendance. The study was conducted on over 1,000 churches from 12 denominations and networks by the Center for Missional Research, a division of the North American Mission Board. The following 10 common factors, based on the combined four-year mean attendance of church plants, proved to be the best predictors for higher worship attendance. Location is one significant factor. Church plants that start in school facilities show a distinct advantage in term of visibility, parking and low costs. In the longer term, churches that meet in movie theaters also exhibit higher attendance. Second, the ministry factor. Reaching children is one effective way to reach families, according to the report. Special children's events along with outreaches around holidays and other opportunities attract crowds and help churches sustain attendance. A third way to build attendance is to promote the church. Church plants with high attendance have mail invitations to services, programs and events and keep community awareness high. Training new members is also key. Successful church plants not only provide training but also communicated clearly that the new members participate and find a place to serve. On top of training, new members are also required to sign a church covenant. The covenant is a sign that new members take their commitment to the church seriously. Church plants with vibrant attendance are also very intentional about financial stewardship. They receive financial compensation as well as health insurance, allowing them to focus on the church's growth and not their own basic needs. Seventh, the staff factor. Church plants that have assessed staff for their suitability and have multiple staff from the start. The most successful church plants do not start out under-staffed, the study reported. And their planters are full-time. Successful church plants do not just focus on their own church needs. Instead, they start at least one church within three years of their own plant. The study indicated that those who are sent out to start a new church are replaced and more are even added. In addition to focusing on missions, building leadership is crucial to church plant growth. Church plants with higher attendance conduct leadership training, build their leadership base and delegate leadership roles to church members on an ongoing basis. Tenth, the achievement factor. Church planters have a vision of what God wants to do and remain focused on accomplishing that. Thus, they achieve greater results and find greater satisfaction, according to the study. The Center for Missional Research noted that these 10 factors would most likely lead to both numerical and spiritual growth. The latest study is part three in a four-part series of studies on church plants. Other studies revealed a 68 percent survivability rate among church plants after four years and an increasing number of baptisms to 14 by the fourth year. No More Mr. Nice Group: 5 practices that take small groups beyond polite "sharing" to the disciplines that change lives. The following was in Bethlehem Baptist's weekly email called the E-Star. HELP THE NORTH CAMPUS LIBRARY - DONATE A BOOK! Not just any book - Find out how to donate and the links to the North Campus Library Wish List and Amazon Wish List on the church website: http://www.hopeingod.org/NorthCampusLibrary.aspx. Bring donations to the Library table at the North Campus on Sunday, March 18 or to the Downtown Campus Library. Questions? Contact the librarian at 612.455.3401 or e-mail Edith Carlson at edith.carlson@hopeingod The North Campus Library will host an Open House on Sunday, March 25 after services. Watch for details! Do We Have A North Campus Library? Not yet. Lord willing, the North Campus Library (NCL) will start in the fall of 2007. There is a small room available near the offices; however, at this point there are only a few books in the room. We are waiting on God to provide the necessary funds for start-up costs. There is some money for the NCL in the 2007 budget, but it will cover only a portion of these cost. We'll need people to contribute toward this need. We will also need volunteers to do everything from assembling and putting up shelves to getting the resources ready to signing up to work in the library when it opens. If you want to help get the NCL open, look at the NCL Wish List. Also, there will be a Volunteer Opportunity list available soon. Since it will take a lot of work to get it ready to open, we will need many people to help! Your may donate items in like-new condition that you already own and that are on the wish list above. You may purchase items that are on our Amazon Wish List. Note: Not all the items on our master wish list are listed on the Amazon wish list. This is because not all the items are available through Amazon and because it's time-consuming to enter all the items; more items will be added as some are purchased. Your may donate money through the offering. Just mark on your offering envelope the amount that is being donated to the "North Campus Library." Please do not donate by handing money to library volunteers. Questions? Contact Edith Carlson, 612-455-3401 or email. A simple, yet fantastic way to build a church library outside of the normal operating expenses of a church. When you expand as Bethlehem has (a new facility at their North site in Mounds View, and another to come in the South Metro area) you incur a lot of expenses, and things like libraries become casualties of cost over runs, even at good churches with great plans. Here is a creative way to get people (like me) who really enjoy resources like a church library to contribute to building that library. I like to buy books (ask my wife! ), and would certainly sacrifice a couple of future personal purchases to build a significant library for my church. This money would come from my personal discretionary money rather than from my tithing so it is a real win for the church. It is also a great way for someone who would like to make a memorial gift to the church to contribute in a way that will endure for years to come. Also, if you haven't heard, Bethlehem Baptist Church has completely redesigned their website. It's a 100% improvement. 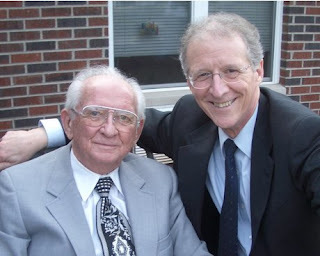 For those of you who hadn't heard, Pastor John Piper's father passed away yesterday. Below is his personal journal entry as posted at Desiring God. Pastor Piper was able to leave Bethlehem Baptist to be with his father for his last few days. The following is John Piper’s journal entry narrating his father’s death on Tuesday, March 6, 2007. The funeral is scheduled for Friday, March 9, 2007, at 2 p.m. at White Oak Baptist Church in Greenville, S. C. Visitation is 7:00-8:30 p.m. Thursday evening, March 8, 2007, at Mackey Mortuary on Century Drive in Greenville. All are welcomed. John Piper will not be preaching this weekend at Bethlehem Baptist Church. Tuesday, March 6, 2007. 2 a.m. The big hospital clock in room 4326 of Greenville Memorial Hospital said, with both hands straight up, midnight. Daddy had just taken his last breath. My watch said 12:01, March 6, 2007. I had slept a little since his last morphine shot at ten. One ear sleeping, one on the breathing. At 11:45, I awoke. The breaths were coming more frequently and were very shallow. I will not sleep again, I thought. For ten minutes, I prayed aloud into his left ear with Bible texts and pleadings to Jesus to come and take him. I had made this case before, and this time felt an unusual sense of partnership with Daddy as I pressed on the Lord to relieve this warrior of his burden. I finished and lay down. Good. Thank you, Lord. It will not be long. And, grace upon grace, hundreds of prayers are being answered: He is not choking. The gurgling that threatened to spill over and drown him in the afternoon had sunk deep, and now there was simple clear air, shorter and shorter. I listened from where I lay next to him on a foldout chair. That’s it. I rose and waited. Will he breathe again? Nothing. Fifteen or twenty seconds, and then a gasp. I was told to expect these false endings. But it was not false. The gasp was the first of two. But no more breaths. I waited, watching. No facial expressions. His face had frozen in place hours before. One more jerk. That was all. Perhaps an eyebrow twitch a moment later. Nothing more. I watched, wondering if there could be other reflexes. I combed his hair. He always wore a tie. The indignities of death are many, but we tried to minimize them. Keep the covers straight. Pull the gown up around his neck so it looks like a sharp turtleneck. Tuck the gappy shoulder slits down behind so they don’t show. Use a wet washcloth to keep the secretions from crusting in the eyelashes. And by all means, keep his hair combed. So now I straightened his bedding and combed his hair and wiped his eyes and put the mouth moisturizer on his lips and tried to close his mouth. His mouth would not stay closed. It had been set in that position from hours and hours of strained breathing. But he was neat. A strong, dignified face. I called my sister Beverly first, then Noël. Tearfully we gave thanks. The graciousness with which this was written is astounding. I honestly have no idea how Dr. Piper was able to pen this with the wound still so fresh. Need a definition? Try Visuwords for a fresh approach to looking up words. It produces diagrams for each word you search for so that you can see how words associate. The words Messiah and Sin are interesting. Let me know if you find any other good ones! I was born a P.K. (pastor’s kid) in Churchbridge, Saskatchewan, that giant rectangular province in the middle of Canada, which is close to the farthest reaches of North American civilization. Throughout my life I’ve watched my parents move from one funeral home to the next, pastoring a dying church until it finally burned them out through lack of growth and emotional stress due to the impossible demand to build a church that saw its glory days in the late 1950’s. We did this in Canada, and again in Moscow, Idaho, where I spent my Sundays coloring in the back pew while my Dad preached to the same small congregation, and as if that wasn’t enough, they’re at it again six years later shepherding an aged church over on the Tulalip reservation. Not to say that there isn’t a place for that kind of ministry, there are plenty of aging believers who need a pastor to give them a leg up as they crawl, heaven bound, into their casket. But, though it may be a ministry, it’s just not missional. There are no births or new births, people get older and things just stay the same. And, I can tell you this because I’ve spent most of my life up until now attending churches like this, this kind of church setup is not at all uncommon. It happens when a growing Christian community decides to settle, numerically and spiritually, with where it is at; when a church decides to be a mission of community and not a community of mission. And so we have churches today that can be identified as belonging to one particular generation, I can walk into any local church congregation and judging by the music and clothing tell you exactly when (and probably why) that church stopped growing. One church has a full size organ, formal dress, and hefty hymn books; another church sports business casual, an electric keyboard, and an old transparency projector; and yet another wears torn jeans, plays acoustic guitars, and has a coffee stand in the lobby. All dying churches have one thing in common; they all cherish their community more than they cherish Jesus’ gospel mission. They built their churches with themselves in mind rather than their neighbors and that is why they are slowly growing old and dying. Not necessarily because their clothing and music is out of date. I honestly think if any congregation, even the most un-hip, culturally irrelevant folks, could learn to love their neighbors, they would begin to see some spiritual and numerical growth. I believe that love for God and neighbor is absolutely essential to the health of every single church, including ours. I've spent enough years of Sundays in churches that are funeral homes to know the truth spoken above. 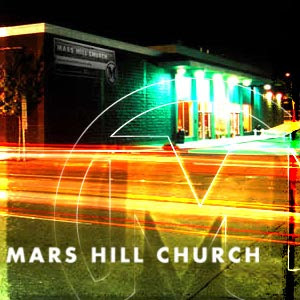 The rest of the post goes on to address specific things at Mars Hill Church (primarily the Ballard Campus) but I felt this was good enough to share. The church I am now part of seems to really get this idea and is impacting our communities in significant ways. How is your church doing on this? DT who reads here and from time to time comments here knows exactly what I am talking about when I say I know this problem all too well. 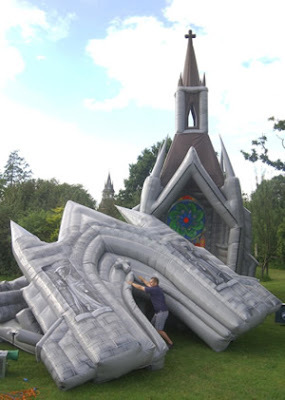 Churches, like other organizations, fail to develop because they don’t take learning seriously. In Becoming a Strategic Leader, authors Richard Hughes and Katherine Beatty show us how strategy ought to incorporate a learning process. Here’s an overview that adapts the authors’ ideas to the church. 1) Assess where you are. This requires collecting relevant info that makes sense of your church in the community. Go beyond mere attendance and income stats. Measure the percentage of regular attendees who are involved in ministry inside the church and outside the church. What percentage of adults is in a small group? How many new people have begun attending during the last year, and how many of these were non- or new believers? What are the demographics (age, gender, education, marital status, etc.,), and do they match the surrounding neighborhood? 3) Discover how to get there. Target the critical elements of a strategy. What will it take to get you from where you are now, point A, to where you want to get, point B? This may require you to look at other ministry models, read books, bring in a consultant, or take a trip to a church that’s accomplished something similar to what you want to accomplish. 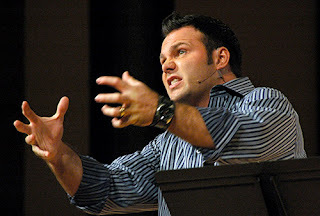 Most churches should avoid trying to model the mega teaching churches. We learn best from those who are one step ahead of us, and we teach best those who are one step behind us. 4) Take the journey. This means translating strategy into actions. What are the tactical ways that your plan is becoming incarnate? Do you ever go back to analyze what you’ve done to see if it truly reflects your values and vision and where you intend to go? 5) Measure your progress. What assessments have you developed that provide a good evaluation of how you’re doing? 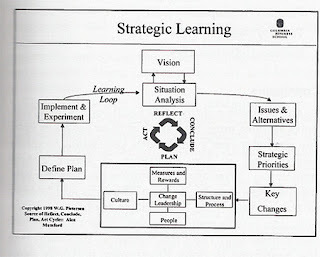 Ultimately, this begins the next cycle of a learning strategy because it provides input as to how you’re doing and where you need to go next in order to accomplish your mission. How Many Americans Attend Church Each Week? How many Americans go to church regularly? But in recent years this consensus has been challenged. It seems that it’s more accurate to say that 40% of Americans claim to attend church regularly. In 1998, sociologist Stanley Presser at the University of Michigan—whose “research focuses on questionnaire design and testing, the accuracy of survey responses, and ethical issues stemming from the use of human subjects”—co-authored a study entitled: Data Collection Mode and Social Desirability Bias in Self-Reported Religious Attendance, American Sociological Review, v. 63 (1998): 137-145 (with L. Stinson). Comparing diaries with actual attendance, they made the estimate that the actual percentage of Americans attending church from the mid-1960’s to the 90’s was about 26%. One factor is that people often answer according to what they think someone like them wants or ought to do. So people tend to overreport on the number of sexual partners they’ve had and how much money they give to charity, and tend to underreport on illegal drug use and the like. Hence, church attendance is often inflated. In 1998 C. Kirk Hadaway and P.L. Marler published an article in the Christian Century entitled, Did You Really Go To Church This Week? Behind the Poll Data where they examine many of these factors. The authors focused on individual counties in the US and Canada, surveying actual church/synagogue attendance and comparing it with random surveys they were conducting. They found that actual church attendance was about half the rate indicated by national public opinion polls. Their estimate for US actual church attendance is around 20%. Dave Olson, director of church planting for the Evangelical Covenant Church, surveying only Christian churches (i.e., evangelical, mainline, and Catholic) has come up with a similar number. The percentage of Americans regularly attending church is 18.7%. Olson has collected his findings in an eye-opening slide-show entitled Twelve Surprising Facts about the US Church. The 12 points cannot be copied and pasted, so I’ve reprinted them below, along with links to his charts and maps.